An analysis of nuclear body protein disorder that suggests MLO proteomes are significantly more disordered than structured cellular features. A common theme throughout biology is the importance of proximity for function. Collecting functionally-linked components into shared spaces increases productivity, limits mistakes, and reduces waste. This is clear when considering the human body, as cells and organs are specialized for their various actions. Within the cell, groups of biomolecules are segregated into membrane-defined cell compartments. 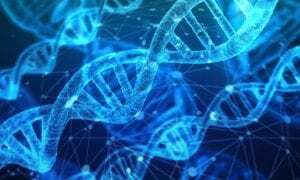 However, cells also contain membraneless compartments known as membraneless organelles (MLOs), which are often built around an architectural RNA backbone, are enriched with select molecular pathways, and influence diverse RNA activities. There is recent interest in how MLO formation occurs, led by advancements in microscopy and materials science, but more work is needed to understand their function and organization. The complexities of MLO assembly and organization are discussed by Iain Sawyer, David Sturgill and Mirek Dundr in their WIREs RNA review. Previous studies suggest that the structural disorder of a few key proteins is important for MLO assembly. This leads to promiscuous interactions with many protein and RNA partners and the formation of additional MLO “phases” in the cellular milieu. New data presented by the authors confirms that key MLO proteins bind a plethora of other biomolecules, with a substantial number shared among different compartments. The data also challenges the notion that only a few key proteins in each MLO are disordered. In fact, each MLO’s proteome, which represents every protein reported to reside within a specific MLO, is significantly more disordered than other cellular structures. Several prominent MLOs currently receiving attention are reported to contain two or more distinct sub-phases within their boundaries. 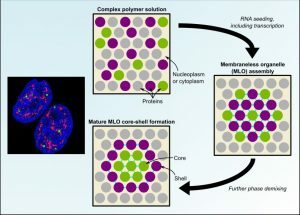 The authors review these studies and outline a common MLO core-shell structure, which they call a “phase within a phase.” Most of these sub-phases contain RNAs or RNA-interacting proteins, highlighting a potentially important role for RNA in driving complex MLO assembly patterns and functions. However, the authors point out that only a few proteins and RNAs have been assigned to distinct sub-compartments within each MLO, aside from a larger MLO, the nucleolus, which is easily studied using standard microscopy approaches. Smaller MLOs will require more sophisticated technologies to resolve the nanometer-wide sub-compartments and it is anticipated that is the beginning of a wider search. This WIREs RNA review summarizes our current understanding of MLO biology and comes at a time when abnormal MLO behavior is being recognized as a contributor to aging, immunity, neurology, and cancer. 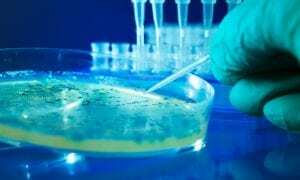 MLO protein disorder and phase behavior may become important targets for further analysis in the laboratory and the clinic. Kindly contributed by the Authors.